Katie Hoeflinger is a young American student of the Wellesley College of Boston. She has come from Santa Barbara and she has decided to spend a whole summer in Europe. In particular Katie has participated for 4 weeks to an internship with Libera: San Giuseppe Jato, Belpasso, Isola Capo Rizzuto and San Sabastiano da Po have been the 4 stops in E!state Liberi camps around Italy to know directly the real experience of fighiting against mafias through the social re-use of confiscated assets. Katie has written many notes about her experience in a personal Blog and it seems that she has had very great time in Italy. Mostly she has tried to explain how her personal idea of Italy and mafias has grown up. The first step of Katie trip around the Italian confiscated assets was in Sicily. She has been in Palermo, Corleone, and she has helped as volunteer in San Giuseppe Jato summer camp. She has described it as “Sicily is incidentally very beautiful, and a place of very interesting contradictions”. It is really interesting to read how Katie has started speaking about Mafia and her progressive consciousness about the phenomenon. The other two steps of Katie travel have been Isola Capo Rizzuto in Calabria region and San Sebastiano Da Po in the north of Italy – in Piemonte region. 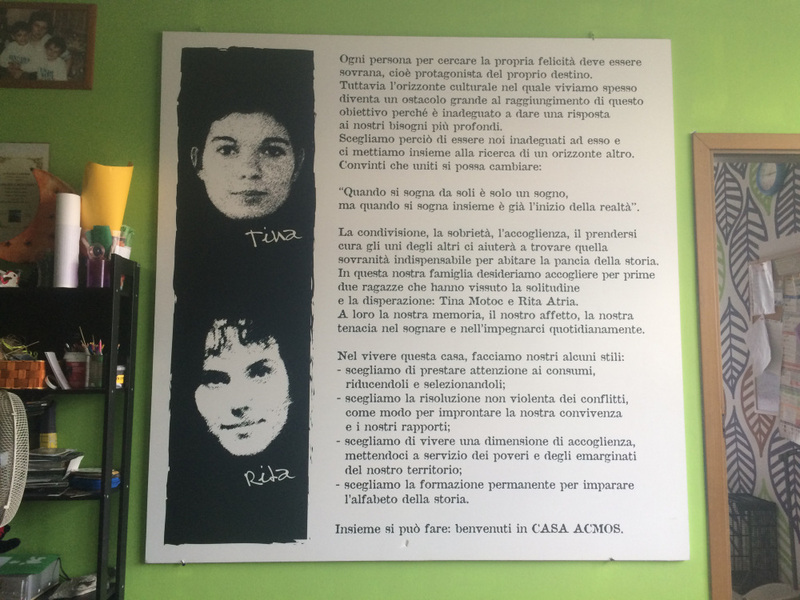 The last week of Katie in Italy has been in Cascina Caccia, the confiscated asset dedicated to the prosecutor Bruno Caccia and her wife Carla in San Sebastiano Da Po’. Katie has arrived in Cascina Caccia passing through Casa Acmos, a co-housing experience in Turin: “Discovering Casa Acmos was like discovering another world – I could talk for years about it – and I was so happy to stay with them both this Sunday and the Sunday after camp, before leaving the country for a different kind of vacation!”. In Cascina Caccia Katie has had less free time, but she has said that she has started knowing more about what antimafia is doing and a she has liked more the International focus of themes. We really recommend to read all Katie’s Diary in her personal blog because only reading all her nice stories you can have the perception of her travel with Libera in E!state Liberi camps. 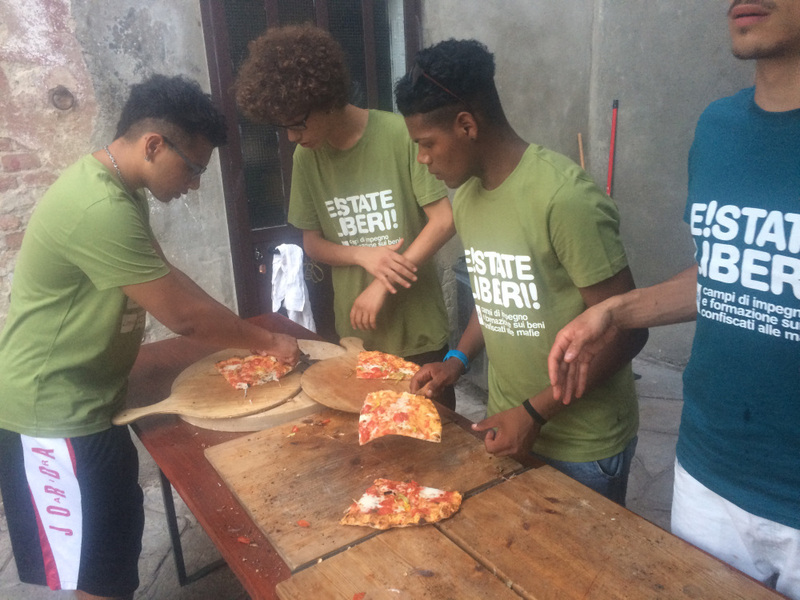 Here the link to San Giuseppe Jato and Belpasso Diary Camp. Here the link to Isola Capo Rizzuto and San Sebastiano da Po’ Diary Camp. Enjoy Katie and her experience! This entry was posted in Blog, Confiscated assets and tagged antimafia, International Camps E!State Liberi. Bookmark the permalink.